When you need to replace an old or damaged roof with a new roof installation, the roofing contractors at Christian Brothers should be your first call. 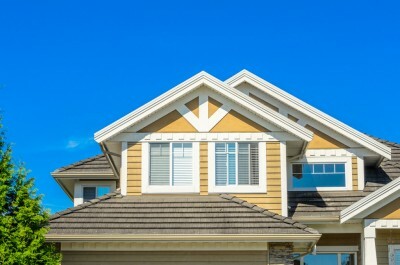 We are proud to offer the Parkville and Kansas City area the best value in new roof installation and roofing services. We’ve worked for years to build our reputation as your trusted local roofing company. The roofing project managers at Christian Brothers personally inspect all new roof installation work while in progress, and each roofing professional on our team is an expert in the business. We always take care to remove the old roof before a new roof installation and to inspect the home for any deteriorated wood to avoid problems down the road. Our team takes care of each and every roofing detail so you don’t have to worry. We also take pride in using only the highest-quality roofing materials for every new roof installation. We offer a variety of shingles and tiles so you can get the exact style you want for your new roof. Finally, we offer a 10-year warranty on our workmanship to show you how confident we are in our roofing work. Contact Christian Brothers today in Parkville and Kansas City for roofing services you can trust and the new roof installation your home needs. Call us at (816) 453-ROOF or (913) 800-ROOF today!